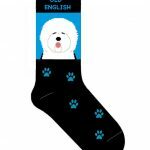 These cushioned Old English Sheepdog socks have superb construction and quality. 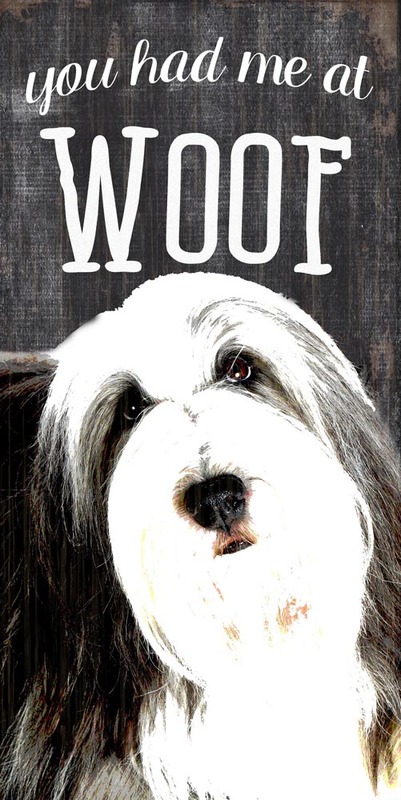 Each pair of socks features your favorite Old English Sheepdog breed within a pop art design and paw prints. Made in Egypt with only the best soft cotton and spandex which allows for a formed fit to your feet wash after wash! They make a great novelty dog gift for all dog lovers especially for a birthday or holiday. 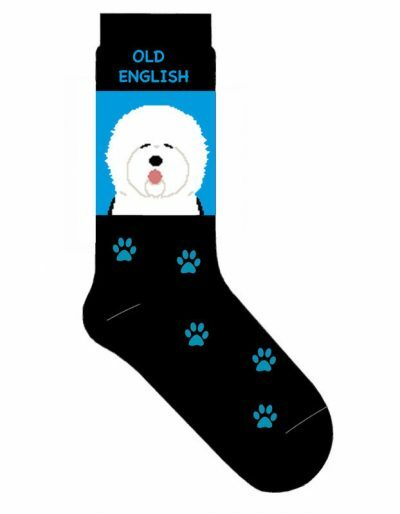 Our Old English Sheepdog socks display the standard Old English breed. The entire breed is white with small black markings on the sides of the neck that are barely visible. The black eyes are mostly covered by their thick coat, and their round nose is black as well. The mouth is open revealing a pink color. The head is covered in thick hair forming a circular shape. The muzzle matches the head and is round as well. Blue fills the paws that work their way up the socks and also fills the background of the Old English illustration. Lastly, “OLD ENGLISH” is written in blue at the top of the socks.